The inherent talent among the younger members of the community took centre stage at the Annual Children’s Charity Show held on June 17, 2017 in Auckland. 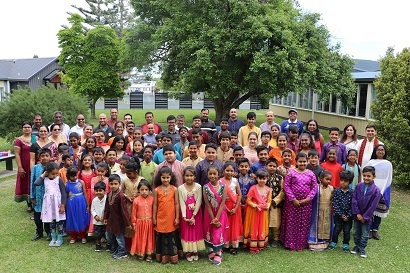 Waitakere Hindi Language and Culture School, an affiliate of the Waitakere Indian Association (WIA) organised the programme to provide an opportunity for its students to give vent to their competence at the event held at Te Atatu Peninsula. Labour Member of Parliament Phil Twyford, National Party Kelston Candidate Bala Venu Beeram, Auckland Councillor Linda Cooper, WIA President Mahendra Sharma, Past-President and Executive Committee Member Manoj Tahal, Shri Ram Mandir Charitable Trust Chairman Pravin Kumar and other community leaders witnessed the programme and honoured the children. Parent Teachers Association President Saten Sharma said that since its establishment in 2001, the Waitakere Hindi Language and Cultural School, better known as Waitakere Hindi School has grown from strength to strength, experiencing the support and patronage of parents, caregivers and other residents. “The School accounts for 92 students enrolled in six Language classes and in Harmonium, Tabla and Dance classes. We have eight teachers and the School is administered by a ten-member Management Board from the PTA. 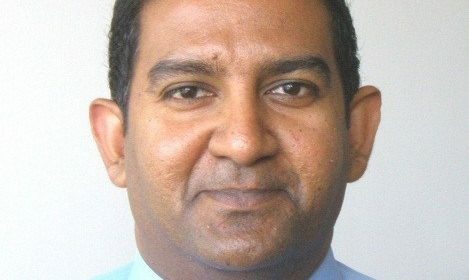 The Board, elected annually, conducts monthly meetings and its accounts are audited by an independent authority ensuring accountability and transparency,” he said. Mr Sharma said that among the objectives of the School are (a) to teach Hindi in the context of a multicultural and multi-ethnic society (b) to promote an understanding and awareness of the history, the background, richness and the diversity of Indian culture and value (c) to teach Hindi by promoting and developing the primary skills of learning, speaking, reading, and writing and (d) to teach moral and cultural values in the curriculum and demonstrate their relevance in daily lives. “The School is open on Sundays from 9 am to 1 pm in consonance with the School Terms determined by the Education Ministry, giving 40 weeks of interactive teaching of Hindi and Culture. The School also teaches Harmonium, Vocal, Tabla and Dance. A special class is being run for people from non-Hindi speaking (including European) background,” Mr Sharma said. The School has developed its own Curriculum for classes 1 to 6 with weekly learning outcomes and a teacher’s guide. Stated to be the first in New Zealand, the Curriculum conforms to the country’s environment. For enrolment and further information please contact Saten Sharma on (09) 8348250 or 021-686357.